Eleanor M. Welke is Senior Counsel in Lozano Smith’s Los Angeles office. She is a member of the Labor and Employment and Special Education Practice Groups. Ms. Welke provides legal advice to administration on personnel matters, including discrimination, retaliation, sexual harassment, disability accommodations, and the Americans with Disabilities Act. 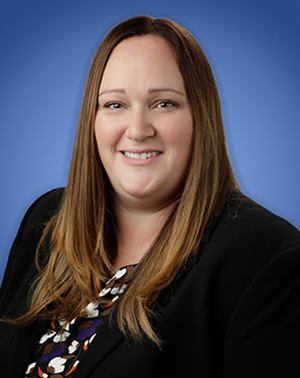 Ms. Welke has extensive experience representing clients in both California State and Federal Courts and in front of administrative bodies, including the Equal Employment Opportunity Commission, Department of Fair Employment and Housing, and the California Labor Commissioner. She also provides advice and counsel to clients on a wide range of employment legal issues, including compliance with wage and hour regulations, employee hiring, termination and discipline decisions, investigations, and leaves of absence. While in Law School, Ms. Welke served as an extern at the Children’s Rights and Special Education Clinic. Ms. Welke has also served as a resource specialist and special education teacher for a California school district. Ms. Welke is a member of the California Bar. Ms. Welke received her Juris Doctor from Whittier Law School. She earned a Bachelor of Arts in Classical Civilization, and minored in Public Policy, from the University of California, Los Angeles. She received the CALI Excellence for the Future Award in Contracts while in law school, and she was a member of the UCLA national champion water polo teams. With texting and social media, it seems as though the line between school and “not school” are blurred. School districts are often faced with determining whether they can discipline a student for their conduct while not at school. In this episode, we discuss a school district’s ability to discipline a student for off-campus conduct and go over court cases that analyze this issue.